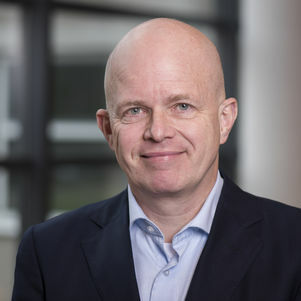 Cees van Beers is professor of Innovation Management and Head of the section Economics of Technology and Innovations. He is also one of the co-leaders of the Leiden Delft Erasmus (LDE) Centre for Frugal Innovations in Africa. He holds a doctorate in economics (Ph.D) from the Free University Amsterdam. He worked at the University of Leiden as assistant professor, the Institute for Research on Public Expenditure in the Hague as a senior researcher and as associate professor on innovation economics at Delft University of Technology. He also worked as consultant and expert for several international organisations such as the OECD, FAO and the World Bank. The main focus of my present research is on inclusive business models for frugal innovations and their role in achieving economic development in developing countries, especially Africa. Further I was involved in many research projects on the impact of hidden government subsidies to fossil fuel use resulting in among others a monograph and studies for the World Bank. Multi-level Knowledge Sharing: The Role of Perceived Benefits in Different Visibility Levels of Knowledge Exchange, Journal of Knowledge Management, 2018, vol. 22 (6) 1264 – 1287 (with Mohammad Sedighi, Frances Brazier, Mohsen Hamedi and Stephan Lukosch). Frugal Innovation in Technological and Institutional Infrastructure. Mobile phone applications and public service provisions, European Journal of Development Research, 2018, vol. 30 (1), 84 - 107 (with Monica Altamirano). Value capture and value creation: The role of information technology in business models for frugal innovation in Africa, Technological Forecasting & Social Change, 2018, vol. 131, 227 -239 (with Rachel Howell and Neelke Doorn). Exploration of Multi-layered Knowledge Sharing Participation: The Roles of Perceived Benefits and Costs, Journal of Knowledge Management, vol. 20 (6): 1247-1267, 2016 (with Mohammad Sedighi, Frances Brazier, Sander van Splunter and Stephan Lukosch). Cooperating with technologically (dis)similar alliance partners: the influence of the technology life cycle and the impact on innovative and market, Technology Analysis and Strategic Management (with Claire Stolwijk, Roland Ortt, Wim Vanhaverbeke, Michiel Pieters), 27(8), 925 – 945, 2015. Political Determinants of Fossil Fuel Pricing, in: F. Schneider, A. Kollmann, and J. Reichl (eds.) Political Economy and Instruments of Environmental Politics, MIT Press, 71 -116, 2015 (with Jon Strand). R&D Cooperation, Partner Diversity and Innovation Performance: An Empirical Analysis, Journal of Product Innovation Management, Volume 31, 2, 292–312, 2014 (with Fardad Zand). Energy subsidies, structure of electricity prices and technological change, Energy Economics, 40, 495- 502, 2013 (with Adriana Diaz Arias). Success and Failure of Innovation: A Literature Review, International Journal of Innovation Management, vol. 7, no. 3, 2003: p. 309-337 (with Gerben van der Panne and Alfred Kleinknecht). CrESSI = (Creating Economic Space for Social Innovation) is a EU FP7 funded project exploring the economic underpinnings of social innovation with a particular focus on how policy and practice can enhance the lives of the most marginalized and disempowered citizens in society (2014 – 2018). This project is funded by the Netherlands Scientific Organisation (NWO) and investigates new inclusive business models for Dutch companies to improve their performance on commercializing frugal innovations in developing countries (2015 – 2019). Determinants of innovative behaviour: A firm's internal practices and its external environment, Palgrave Publishers, United Kingdom, 2008 (with Alfred Kleinknecht, Roland Ortt and Robert Verburg, eds. ).